Today I have a creme/glitter combo. 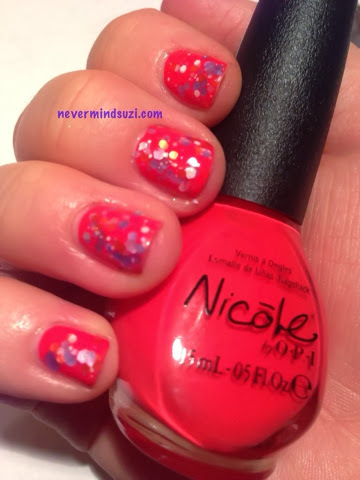 Nicole by OPI - Stroke a Pose which was a TK Maxx Bargain. 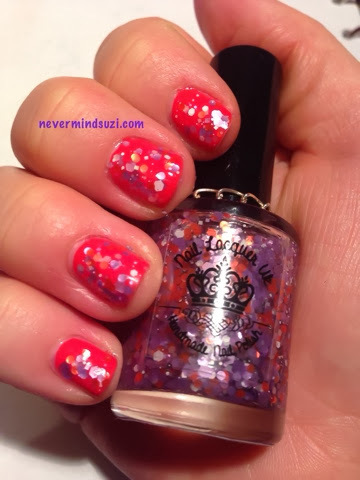 Nail Lacquer UK (which is sadly no longer trading) - Scootaloo which I got from their Etsy shop. 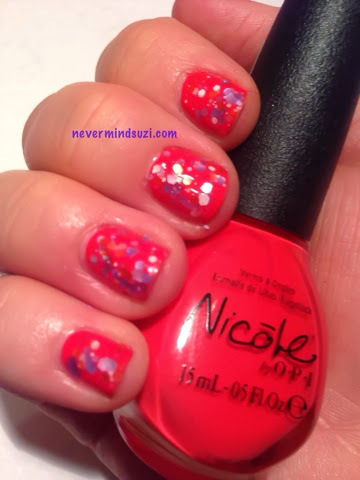 NOPI - Strike a Pose is an orange based coral creme. Looks lovely in the bottle, didn't suit my skin tone.